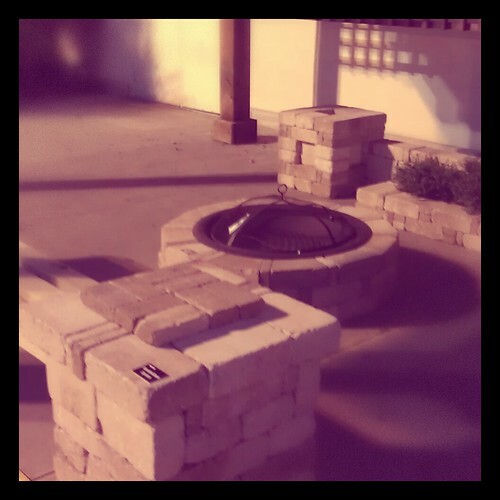 Part of planning out our back yard is adding a paved area for a bench, planters and fire pit. There are some great DIY tutorials on Pinterest. And if we're not able to find all the parts we need, HomeDepot also has ready-to-build kits from PaveStone! They had this set up out at our HD last night. I think it'll fit perfectly. I'm so excited! !